Product prices and availability are accurate as of 2019-04-21 15:32:14 UTC and are subject to change. Any price and availability information displayed on http://www.amazon.com/ at the time of purchase will apply to the purchase of this product. This item only ships within the USA. No Shipping to APO, AFO, PO BOX, PR,VI or HI. Only ships to the lower 48 States. PLEASE contact seller directly for all returns to avoid long delay in getting refund through Amazon process. 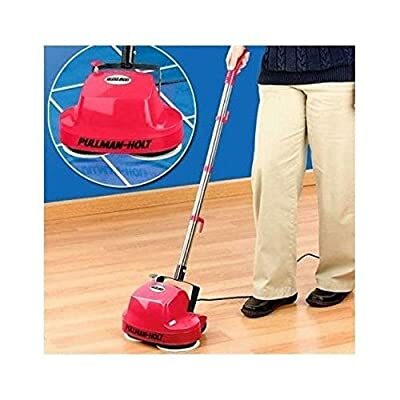 This light cleaning Carpet Tile Cement Wood Floor Cleaner Scrubber Buffer Machine is great for home and patio surfaces, car dealerships, automotive shops, woodworking shops, commercial warehouses, storage units, garages, walkways, patios that require light clening. It is also great to use for the car cargo area and take in your RV to keep things clean from hiking, the beach and pets. You can spot clean or do a whole room without all the hoses, water tanks and rental fees. 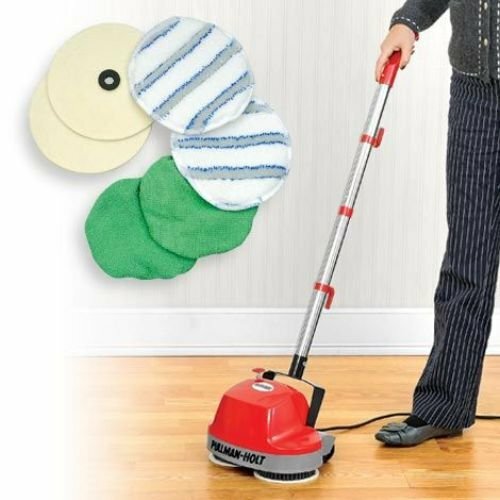 The easy-to-use, deep cleaning Carpet Tile Cement Wood Floor Cleaner Scrubber Buffer Machine; scrubs and polishes hardwood, vinyl, tile, laminate and concrete floors and gets out stubborn stains and dirt out of carpets, rugs. 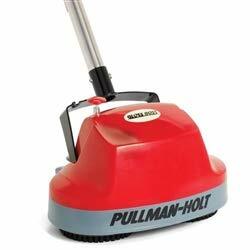 This Carpet Tile Cement Wood Floor Cleaner Scrubber Buffer Machine removes stubborn spots and stains from carpets. 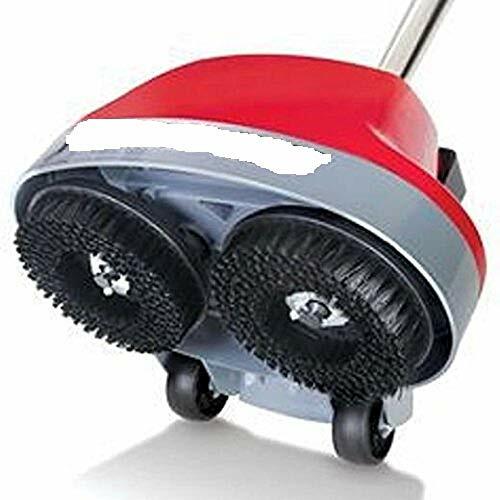 This Carpet Tile Cement Wood Floor Cleaner Scrubber Buffer Machine Features: -2 scrub brushes -Heavy-duty wheels -Foot-activated power-release pedal -ABS motor housing and a steel handle -2 carpet bonnets, -2 washable microfiber pads and -2 felt buffing pads. -Heavy duty cord -120V. -Weighs 7.6 lbs. Dual counter rotating 470 RPM nylon brushes for deep-down cleaning. 18 foot cord.